Dates: 3 – 6 December 2013. From 3 till 6 December in Moscow in the International Exhibition Center “MosExpo” the Energy Veterans Council and "Electric Grids" supported by the Ministry of Energy and Ministry of Commerce and Industry of the Russian Federation will carry out the 16-th specialized exhibition "Electrical Grids of Russia - 2013". 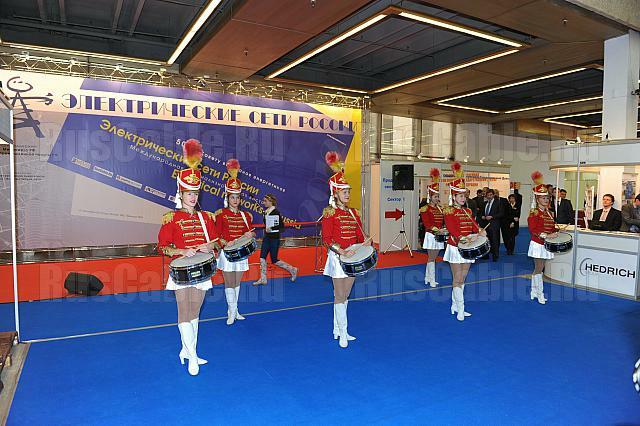 In 2012 more than 400 companies and organizations visited the exhibition, including research & design, construction & operation organization; foreign companies and joint ventures; equipment, structures and materials manufacturers; energy utilities representing Russia, Armenia, Belarus, the Great Britain, Germany, Israel, Spain, Italy, Japan, Kazakhstan, China, Republic of Korea, Poland, Serbia, Slovenia, the USA, Ukraine, Finland, France, Croatia and the Czech Republic. The exhibition was visited by more than 25,000 people. The application for participate can be filled out till the 20-th of October. Telephone/fax: +7 (495) 771-65-64, +7 (495) 963-48-17. Address: 107076, Moscow, Atarbekov Street 4, JSC “Electric Grids”.